There’s often a big difference that keeps coming up between being declared “pro-train” and “pro-transportation”: it’s a shame there ever has to be a difference, but count me in as part of the latter in that I love a train…when it makes good cost-effectiveness and impacts on our Economy, Environment and Quality of Life to build or upgrade a rail service. Like it or not, there are times when proposed train lines are awesome new options for mobility, a point that is all too often dismissed by political conservatives (and by many Republican leaders). Like it or not, there are times when proposed train lines just are not cost-effective and make terrible investments, a point that is all too often dismissed by political liberals (and by many Democratic leaders). Hence, we have some political leaders who decry the automobile as nothing short of the anti-Christ, and others who decry trains as nothing short of the anti-Christ. And most of us are left wishing our political leaders were a bit more flexible. Yet having better access to major urban centers means having alternatives to driving (file this under “D For Duh!”, especially for tourists), and having better access to rural areas, like our national parks, means having good road access (file this again under “D For Duh!”, especially for tourists). Not all of us have commutes that lend themselves to either automobile or train access or alternatives, and I’ve met conservatives who love buses and trains and liberals who would never use buses and trains. Again, most of us are left wishing our political leaders were a bit more flexible. This is our reality, as is the reality that the construction and growth of Los Angeles’ major communities and surface streets were historically tied to where our train lines (Red and Yellow Cars, etc.). Now, our communities’ economic life-blood is often tied to the location of our freeways, and therefore building new train alternatives to driving needs to consider where our freeways are most congested. So when we talk about new train lines and operations, political partisanship needs to be compartmentalized from whether it makes good economic sense. I know I’ll get yelled at by my more conservative friends, but despite the fact that I’m NOT a big fan of this project’s biggest supporter, Senator Harry Reid, I always felt that this was one of more cost-effective and ideal plans to start California High Speed Rail. Ditto for the Santa Barbara to San Diego corridor. But it’s dead for now, as it should be. This project, which is to my understanding a high-speed rail/Metrolink compatible rail line between Las Vegas and Victorville, lost its funding officially by outgoing Transportation Secretary Ray LaHood because of its failure to adhere to a “Buy American” policy, but really did so because of pressure from a House and Senate that’s focusing on budgets. This is a $5 billion project that was originally supposed to enjoy private sector support, but increasingly was reliant on federal loans (i.e., the taxpayer). Furthermore, the western terminus was in lonely Victorville. So it’s dead for now, but I still believe that having this option is by far superior than the MagLev and other crazy schemes that are by far more expensive, and with the understanding that this could have, and should have, been planned with a Palmdale connection, it’s my hope that someone considers this option for the future after more urgent transportation needs are met. This project’s failure is similar to that of the problems facing our California High-Speed Rail project–I still consider this to be a big bait-and-switch scheme, with a $33 billion price tag suddenly tripling and with private investment suddenly disappearing, but I remain a supporter so long as it adheres to only a small middle-California high-speed rail but focused now on higher-speed rail for our successful Caltrain and Metrolink networks. I honestly do question the legality of Governor Brown’s change-order for our California High-Speed Rail, but also honestly believe that while Californians need more road and rail projects before this current plan, it will lay down the future for a lot more passenger and freight movement. Time will tell whether we all got ripped off by our California High-Speed Rail project, and whether it, too, should have died like the Desert XPress…or whether posterity will thank us for this first step. As with the Pasadena Gold Line, which is enjoying speeds and ridership levels heretofore unthinkable after its humble start, this will be a great investment that the City of Los Angeles needs to show more love. The San Gabriel Valley really wants this line, and if we want to fund our own City lines we need to recognize that this line will not only benefit those currently wanting an alternative to the I-710 and I-210 freeways to Downtown, but also to allow more investment and growth along those corridors lying outside our City limits. I’ve no doubt that the Pasadena-to-Irwindale/Duarte extension of the Pasadena Gold Line, currently under construction and moving forward rather well, will be of benefit not only as an alternative to the I-210 or Metrolink to Downtown, but to folks wanting to commute to Pasadena (newsflash, Angelenos: not everyone wants or needs to travel Downtown!). Somehow, some way, we need to position the proposed extension of the Foothill Gold Line to Claremont much higher than it’s been to date, because San Gabriel Valley and Inland Empire commuters and political leaders of both parties really want it…and we’ll never pass an extension to Measure R without this fought-for line. While Metro is making some great investments in both rail cars and mitigation for affected Crenshaw Line merchants it is also studying ways to develop more gates for Expo Phase 1 stations . Ridership on this line has already reached projections years, if not decades, ahead of schedule, and it’s no doubt that an Expo Line that reaches the beach in 2015-16 will allow us to access different parts of the City and County of Los Angeles in ways heretofore dreamed unthinkable. Yet problems remain with respect to parking, signage, and its Downtown links with the Blue Line–all of which Metro is aware of, but is potentially limited by fiscal constraints. One can only hope that more employers and commuters will be allowed tax advantages for encouraging Expo Line and other mass transit use, and one can only hope that more developers will be required to fund this system. …and again, like a broken record, I’ll argue that the stupid, NON-transit-oriented idea at Exposition/Sepulveda/Pico was a duping on a major scale by Alan Casden and his team of hucksters and developers, at the expense of Zev Yaroslavsky, Antonio Villaraigosa, the Expo Authority and Metro Boards and all of us taxpayers alike. I doubt I’m the only one who awaits Metro and LADOT action on creating a parking/bicycle/bus/rail-friendly Westside Regional Transit Center on the publicly-owned Metro land near/under the 405 freeway to truly create the geographic and unique opportunity that exists at this Exposition/Sepulveda/Sawtelle/Pico site, because the Expo Line is as close to a Metrolink alternative that I-10 commuters will ever see in their lifetime. So we’ve got the Desert XPress (which is DOA for now because of a lack of private investment) and the Foothill Gold Line (partially completed only, despite the enormous amount of private investment that awaits it) and Expo Line (also partially completed only but at least scheduled and en route to completion, with as of yet squandered private investment opportunities). It’s my belief that all of these lines should be built, at the right time, and under the right circumstances, but until the right connection of political and private investments are made their construction and funding will be herky-jerky and annoy taxpayers and planners alike. Maybe this herky-jerky nature is also human nature…and maybe it’s something that our new Expo and Metro Boards can confront and resolve to the mutual benefit of taxpayers, commuters and investors alike. When you can prove to me that Any rail system on the West Coast will support itself, I’ll support construction. So far they are all a joke as far as I can tell. California is supposed to be the birthplace of technology and here we are building “already done it” trains. How about monorail hanging pods or something that can be filled to capacity easier/faster and then sent along it’s way. Think cheaper and outside the box. The West is to spread out for rails and will be for many years to come until population densities can make them viable. All of this rail construction, actual or proposed, just duplicates what we had in 1946 before abandoning the many tentacles of the Pacific Electric Railway system. 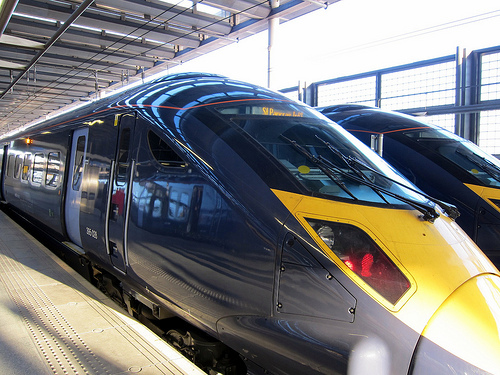 Let’s compare rail systems with landline telephone systems. In many third world country there are very few land line phone systems because the technlogy is obsolete and cost prohibitive to retrofit. I’ve been to Cambodia, Viet nam, Egypy, Morocco, Brazil, Mexico, to name a few, and they have leapfrogged the old technology directly into hi speed cell phones. Rail is great for freight, but not so great for passengers. Meanwhile, air will always be faster and safer than land based rail. New aircraft are quieter and more fuel efficient using as little as 20 gallons of fuel to transport each seat across the country. There are no land crossings to worry about with rivers, mountains, roads and cities. No disruption of farmland and wilderness. Why do we have to return to the past when it has been proven over and over again that it is not financially attractive, or fast but it is underperforming and a waste of resources. Projections are that the HS Rail will consume 25% of the total output of Hoover dam or 25% of the output of Diablo Canyon Nuclear Power Plant not to mention the resources and energy expended on the construction. This isn’t a train to nowhere, it is a train without purpose. closed down for the automobile and now all that can be heard is “oops!” The trains have worked in Europe for years…you can tell time by the arrival and departure of passenger trains in particular. I’ve taken them and AMTRAK and the European efficiency wins…hands down! As LEVI said, I will pay for and support quality and efficiencey. The “Dream” train that the political and environmental dreamers want is nothing I want to pay for…especially since it will not benefit the entire state! Hi speed rail will really only work in this country if it’s elevated, or underground. It also needs to connect major population centers. Call when you’ve got the technology. NEVER HEARD OF ANY OF THE PROPOSED RAIL LINES. Also, anything Harry Reid is in favor of I’m reluctant to support! The other two rail lines, i’m in favor of but I want more information on the routes, etc before commiting to support! I know that the Mach 2 (High Speed) rail is costly, but I still support it! I just like trains, period! Its simple math every fast trans rail system in California, is subsidized per rider by the tax payer, never has one been self sufficient. 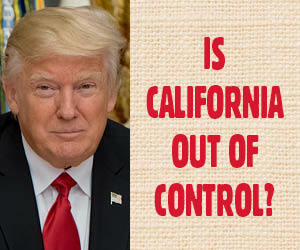 Yet, the governor and state government has backed everyone…..Right now California is almost insolvent, from unfunded liabilities, like pensions and retirements. And, our idiots in Sacramento wants to take on another albatross that will never be paid for. And, I really can’t believe the amount of retards that voted for these. Make it four failures if Gov. Brown gets his toy trains for the central valley. The problem with more rails is not just the funding of these by taxpayers for the initial investment, it is the continued taxpayer support to fund pensions for the workers like the San Fran BART system. If this can be only only with private funds, build it and run it wherever you want. If it is on the back of the taxpayer, forget it. High speed rail works well in high density populated and metropolitan areas, where people live. Like Taiwan, Japan, China, Northern Europe and the Rhine Valley, Imagine that? Practicality, what a concept!.